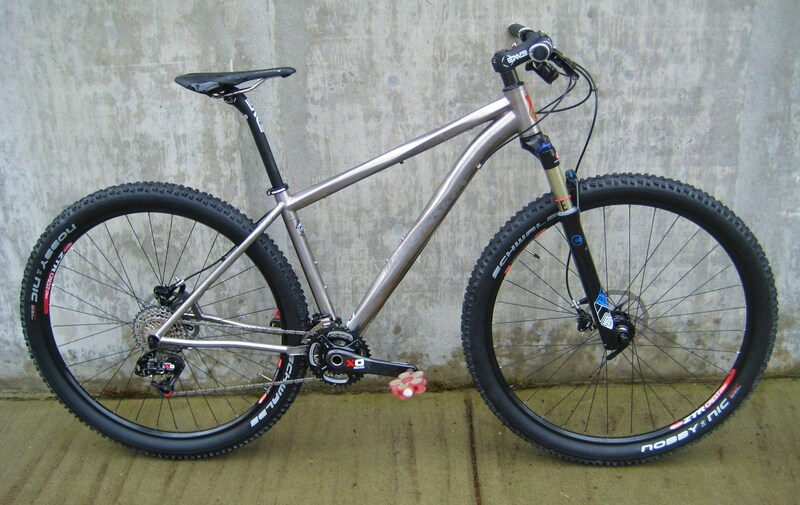 Titanium is really the perfect material for mountain bikes. 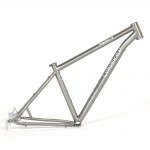 Most Ti bikes will look brand new for decades, the finish is so durable. 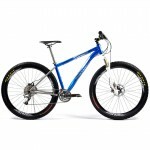 There is no problem with rust, it won’t fatigue and crack like aluminum, and it is extremely difficult to dent a Ti bike. 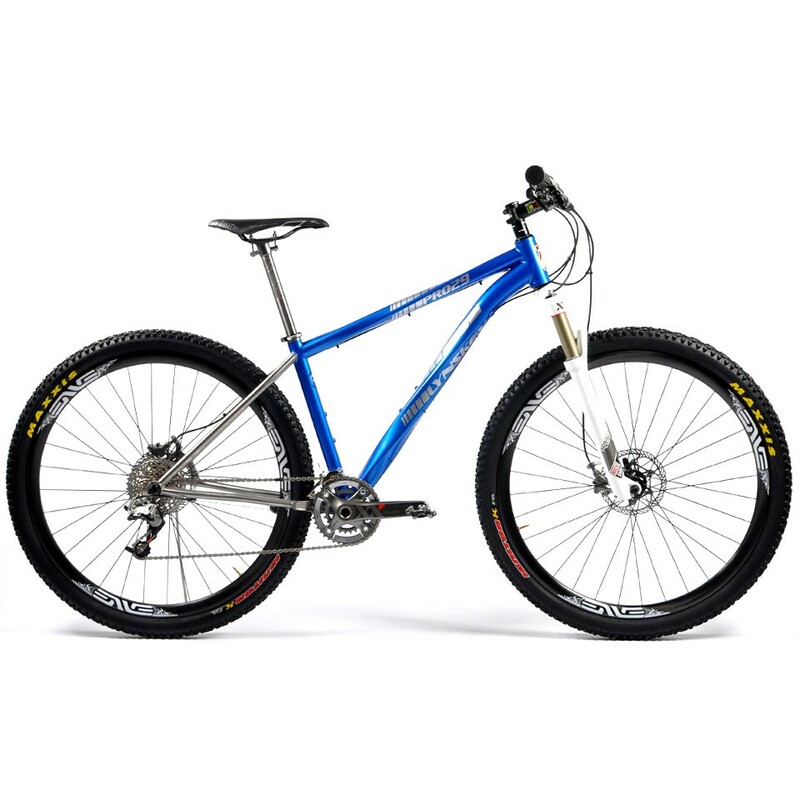 Once every ten years or so, just refresh your component group or fork, and you will still have the latest and greatest mountain bike. 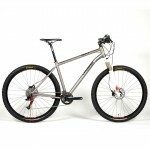 Lynskey has a variety of hardtail mountain bike designs to choose from. 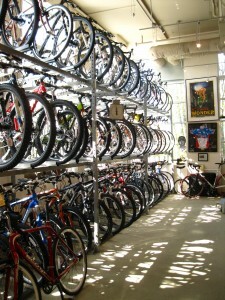 The Pro VF has the oversized headtube and downtube with the helix shaping in the downtube. The rear dropouts are in a fixed position (not sliders) to save a little weight. The Pro SL is similar to the VF, but it has sliding plate rear dropouts for running a Nexus rear hub or building the bike up as a single speed. 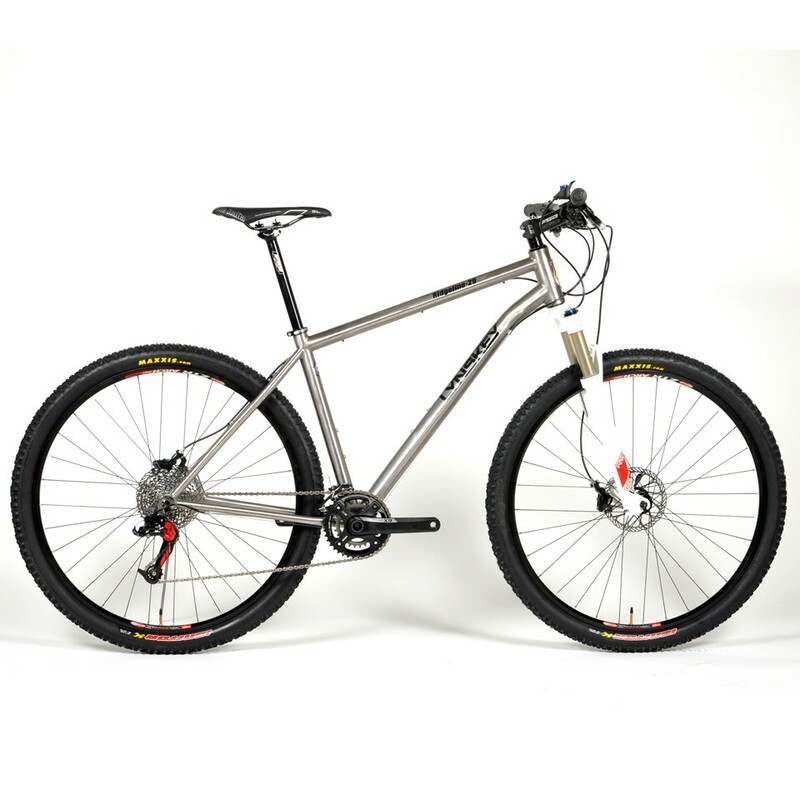 The Ridgeline has all of the great handling and ride characteristics of its Lynskey siblings, but with round tubing (instead of Helix shaped) to save you some cash. 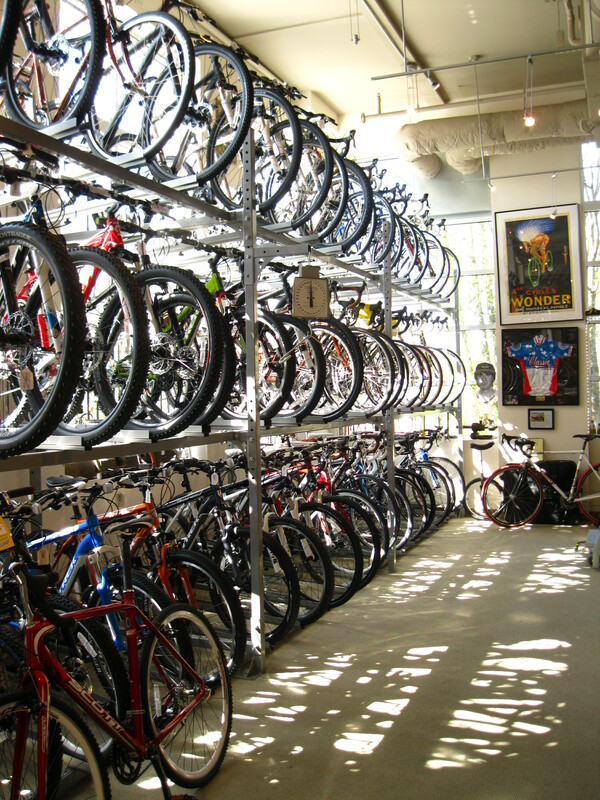 All of the Lynskey mountain bike models are available in 26″ or 29″ wheel styles, and with a variety of frame finish options. S&S couplers can be added to Lynskey mountain frames for travel versatility.